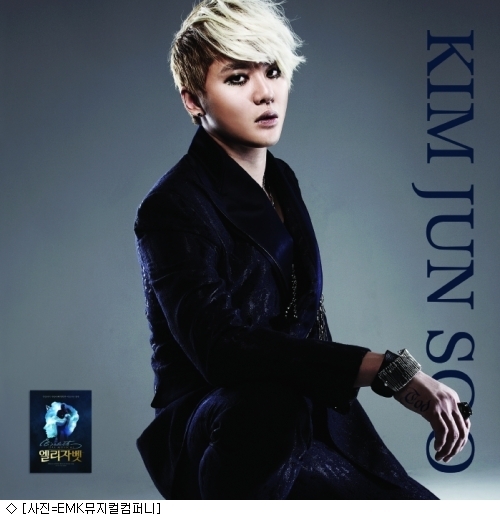 An album which records JYJ’s Junsu’s appearance in the musical “Elisabeth” will be released. EMK Musical Company revealed, “On 18 September, an OST of the musical “Elisabeth” will be released. Top actors such as Junsu, Ok Ju Hyun, Park Eun Tae, Min Young Ki, Lee Jung Hwa and Kim Seung Dae participated in the recording of the OST this time. The OST this time is receiving much interest as Junsu, who did not participate in the highlight version of the OST which was released in March, participated in the recording this time. Also, unlike the pervious album, the OST this time will include not only highlights, but the entire song list. The OST includes 2 CDs, one with 21 tracks and the other with 22 tracks, consisting a total of 43 tracks. It will also include a bonus DVD, which features an unreleased interview with Junsu, a behind-the-scenes sketch, and music videos of 5 songs, including “The Last Dance” and “The Shadows Grow Longer”, which were edited from recordings of the first times this musical was performed in Korea. Musical Elisabeth’s OST, “Musical Elisabeth 2012 Live Recording ・Korean Cast – Special Edition”, will officially be released on 18 September.